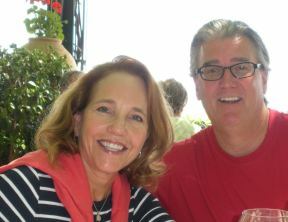 Bob and Barbara have been on staff with cru since 1977. Bob serves on the Executive Team of the Campus Ministry, while Barbara serves on the Development team. Both enjoy speaking, writing and mentoring leaders. Their daughter Brooke, along with her husband Lance, serve with Cru at Georgia Tech and Georgia State University. Their son Bryan is a Deputy Sheriff in the San Francisco Bay Area. They have four grandchildren.